← Beers for Beagles at Lonerider Brewery Sunday Feb. 15th! 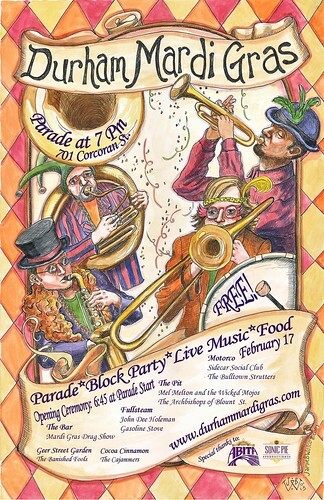 Durham Mardi Gras Celebration Tuesday February 17th! One of my favorite events is coming up next week! 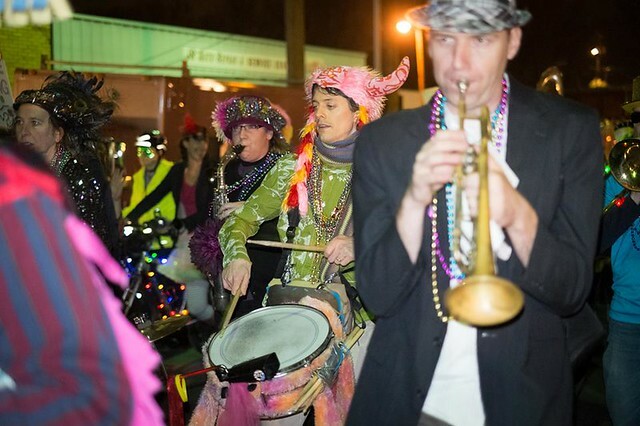 The 2015 Durham Mardi Gras Celebration will be held next Tuesday February 17th! The parade departs the plaza at 201 Corcoran St (by the bull statue) at 7pm and follows a short route along Foster Street down to Geer Street. A printable version of the route can be viewed here. The parade will be preceded by an opening ceremony at 6:45pm when The League of the Tutu will adorn Major the Bull in his very own tutu. This year event organizers are expanding the party by finishing the parade with an outdoor block party. They have added entertainment and activities on the closed section of Rigsbee Ave between Corporation and Geer Street. 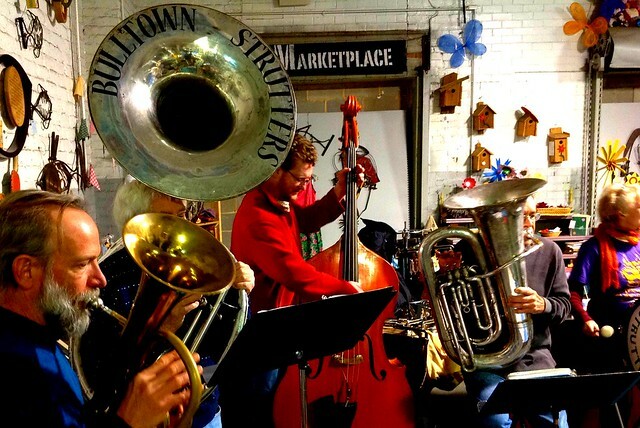 Paperhand Puppet Intervention will also be there to drum up some fun and folks are invited to jam in the streets. Also following the parade there will be multiple bands playing at several great venues along Rigsbee Avenue and Geer Street. The performances are staggered so you can hop from venue to venue and catch portions of each act. Best of all the music is FREE. Check out the night’s music lineup below. For more details visit the Durham Mardi Gras website at http://www.durhammardigras.com. Tap Dogs Dances Its Way on Stage at DPAC Next Week!